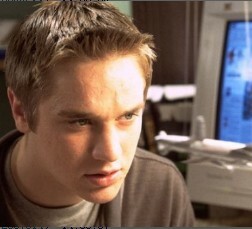 In 1999, Alex Browning (Devon Sawa) is going on a high school graduation trip to Paris with his fellow students. Before Volée Air Flight 180's take-off, Alex has a premonition that the flight will explode on take off, killing everybody on board. When events from his vision begin to repeat themselves in reality, he panics and attempts to stop the flight before take-off. The resulting commotion leads to a handful of passengers being left behind, including Alex, orphan Clear Rivers (Ali Larter), Alex's best friend Tod Waggner (Chad Donella), teacher Valerie Lewton (Kristen Cloke), Alex's rival Carter Horton (Kerr Smith), Carter's girlfriend Terry Chaney (Amanda Detmer), and student Billy Hitchcock (Seann William Scott). After they are all forced off the plane, none of the passengers believe what Alex says until the airliner takes off and explodes in mid-air, killing everyone left on it. The survivors are devastated, and two FBI agents interview the people taken off the plane, and are particularly interested with Alex's vision.